The Legend of Zelda Encyclopedia from Dark Horse and Nintendo is the final book in the epic “Goddess Collection” trilogy that catalogs the history of the Zelda series. 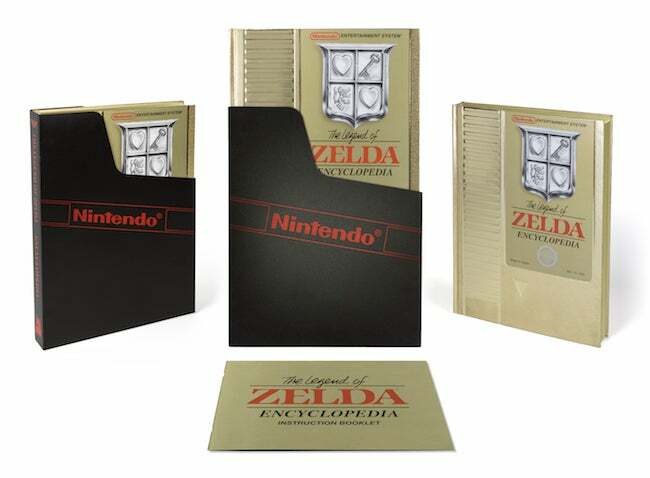 It comes in two flavors - a standard edition and a gorgeous Deluxe Edition that looks like the original gold Zelda cartridge complete with sleeve. The list price on this beauty is $80, but Amazon currently has it on sale for $38.79 (after automatic $2.53 coupon), which is about $1 off an all-time low. Dark Horse notes that “the cover is a gold foil paper with gloss lamination and a spot gritty varnish. The details are embossed and debossed. It has gold gilding on the top and fore-edge, with black gilding on the bottom.” Plus, the "black polypropylene sleeve is lined with velvet flocking". Deluxe indeed. They say that it “looks and feels so much like the original cartridge you might find yourself blowing into the bottom before you open it”. It even comes with an instruction booklet. Beyond the aesthetics, inside the book you'll find a 328 page guide to The Legend of Zelda franchise from the original The Legend of Zelda to The Legend of Zelda: Twilight Princess HD. It includes exhaustive details on enemies and items, concept art, screencaps, maps, main characters, languages, and a lot more. There’s also an exclusive interview with Series Producer, Eiji Aonuma. If you want to save a little extra money you can go for the edition on Amazon for $27.98 (30% off). If you want to complete the set, The Legend of Zelda: Hyrule Historia is on sale for $21.17 (39% off). The Legend of Zelda: Art & Artifacts is also on sale for $25.05 (37% off). But what about The Legend of Zelda: Breath of the Wild? Glad you asked. 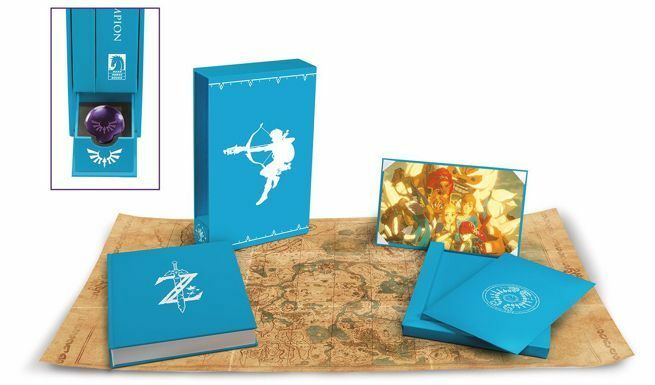 Dark Horse’s The Legend of Zelda: Breath of the Wild Creating a Champion art book is available to pre-order on Amazon for $25.46 after a 36% discount. 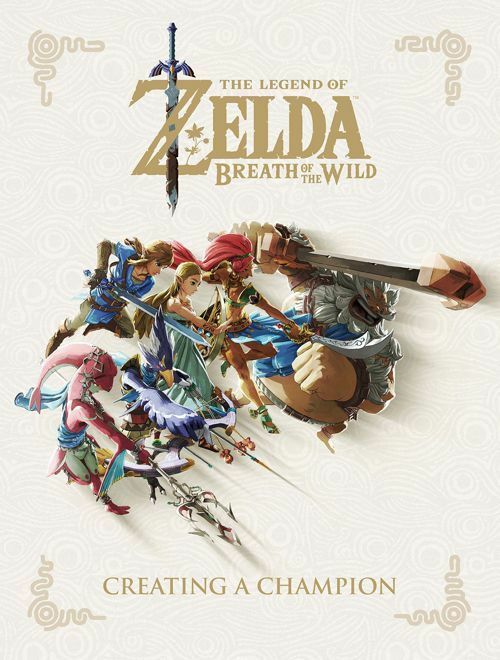 It’s touted as the ultimate companion to the game, and features nearly 50 pages of sketches and illustrations from Takumi Wada, 296 pages of behind-the-scenes design artwork and commentary about the making of the game, a 55 page section devoted to the history of Hyrule, and interviews with key members of the development team. However, that's not your only option. Die-hard Zelda fans and collectors also have two special edition options to choose from with loads of extras. The second tier up is the Creating a Champion Hero’s Edition, which is also available to pre-order on Amazon for $89.99 (10% off). In addition to the book contents mentioned above, it also features the royal blue worn by the Hylian Champion an exclusive cover, a map of Hyrule printed on cloth, an art print of the Champions' photo Link hangs in his Hateno home, and a glass replica of a spirit orb. 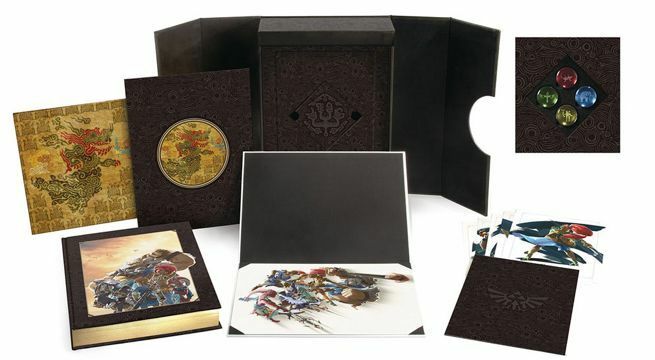 Then there’s the Champion’s Edition, which features a collector's case in burnished leather with gold foil embellishments, an exclusive cover with gold gilded edges, a cloth Calamity Ganon tapestry, an art print featuring the Champions flying into battle, six mini prints of each Champion as well as their leader, Zelda, and four glass Champions' orbs with laser etchings of the Divine Beast symbols. That version is a GameStop convention exclusive that can be pre-ordered here for $149.99. Keep in mind that both of the Amazon pre-orders are covered by their guarantee, so you won’t be charged until the items ship on November 20th. You’ll also get any discounts that occur between the time that you order and the ship date. The GameStop exclusive Champion’s Edition is covered by a similar guarantee, but the odds of a discount are low. It ships on November 30th.